Shivaji Palace is a homely and well-maintained hotel, offering spacious and fully-equipped rooms with views of the Lonavala hills. There is also the Delladventure Park that lies at a walking distance from the hotel. If you want to eat out, you can find a couple of restaurants in the vicinity. 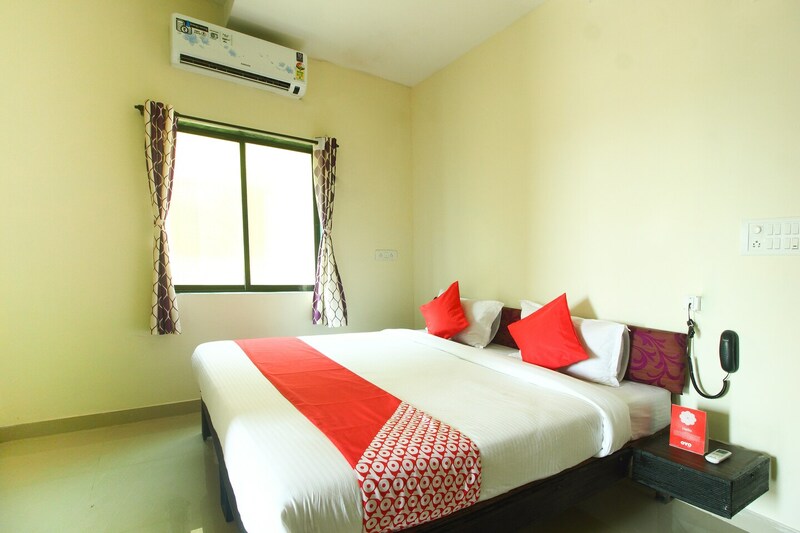 The hotel offers spacious rooms, which are decently-furnished with comfortable queen-sized bed, air conditioning, arm chairs, generous storage space, a full-length mirror, a wall-mounted TV and an en-suite bathroom. Laundry facilities are available. CCTV cameras are installed at the property for the safety of guests. on site parking is available for guests with a car or bike.